You have a completed quilt top, but now what do you do? 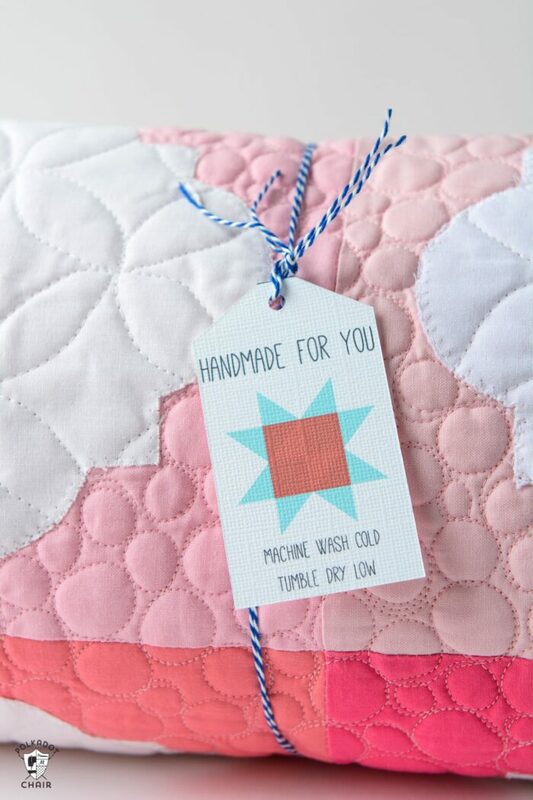 There are about as many ways to finish a quilt as there are ways to make a quilt. 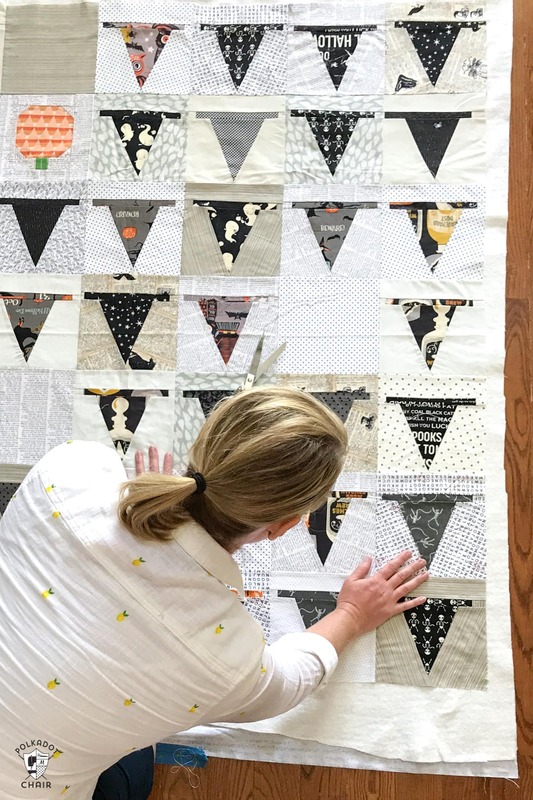 Today I’m going to share a brief overview of the process of finishing a quilt, and share a few of my favorite quilt finishing tips with you. 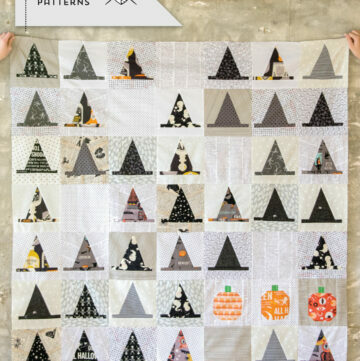 If you’ve been playing along with my Halloween Haberdashery Quilt along, this is the last post in the series. 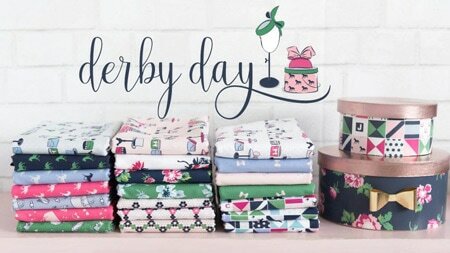 Now that you have a completed quilt top (or somewhat completed) you need to know what to do with it! If you’ve not been following our quilt along, the tips I’m going to share today will apply to any quilt you’re getting ready to finish. 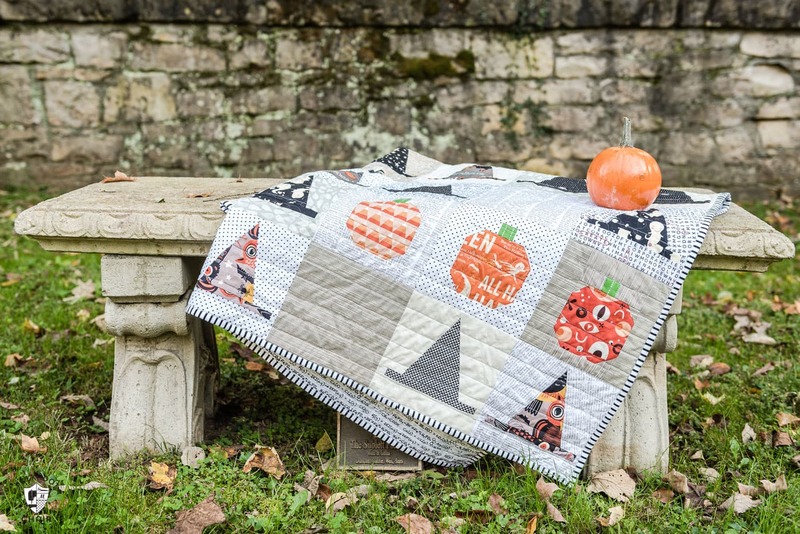 Not just the Halloween one from our Quilt Along. 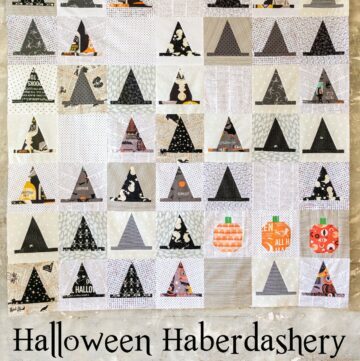 As a reminder, you can see all the posts in our Halloween Haberdashery Quilt along by clicking here. You can find the pattern for the quilt here. 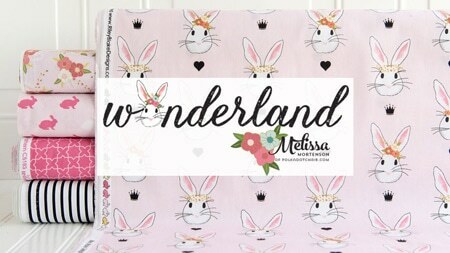 I mentioned at the beginning of our Quilt Along that I was going to show you a few options for projects to make with your quilt blocks. Just in case you have extra blocks, or you don’t want to make an entire quilt. One option is to create a pillow. This is just 4 of the blocks sewn together and quilted. 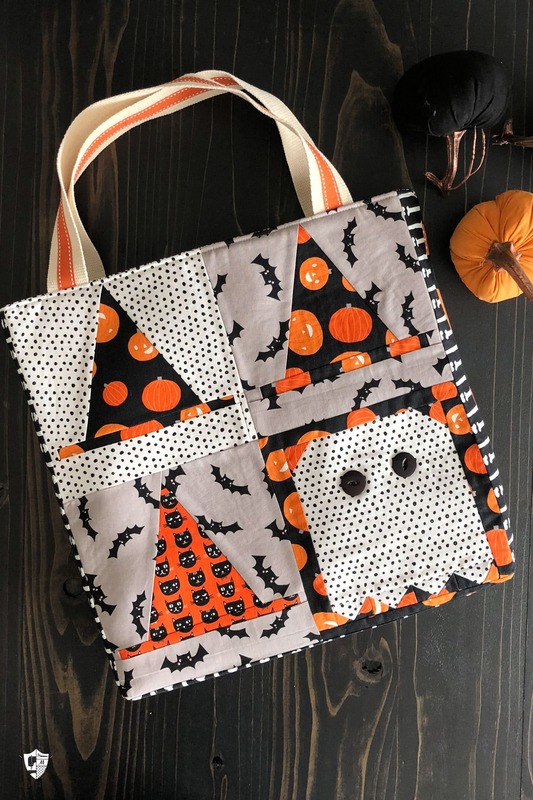 Another option is to make a Trick or Treat Bag! I stitched this one up quickly last week. I was not going to post a tutorial since I figured you guys could figure it out, then I remembered what happened last time I did that (a million emails). So I’ll be posting a tutorial for the bag next week. If you haven’t already, you need to stitch the quilt blocks from your quilt into a quilt top. The pattern gives you the layout directions, so you know what blocks to put where. 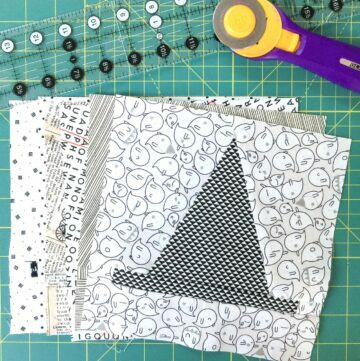 Before you start sewing, however, I recommend that you lay out all of your blocks to make sure you’ve got a layout that you’re happy with. To do this, you’ll need a blank wall of some sort. I have a wall that I left purposely empty in my sewing space for the purpose of using it as a design wall. 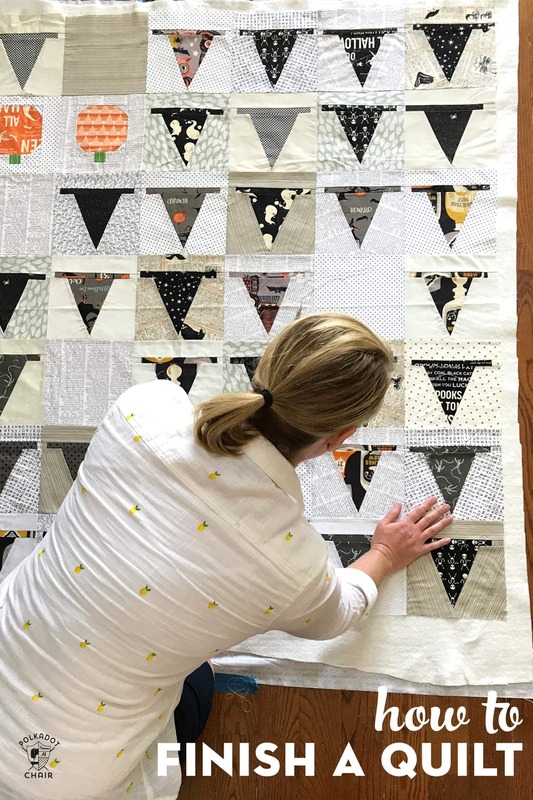 You wouldn’t think it would make much difference to see all of your quilt blocks laid out in front of you, but it really does make a BIG difference. For some reason, seeing them on a wall gives you a much better perspective than seeing them on the floor. 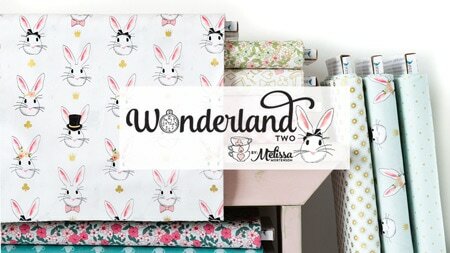 For my design wall, I have this one from Fons & Porter. It has grommets in the corners, so you can use command hooks to take it up and down if you don’t have a dedicated wall. As you lay out your blocks, keep an eye out for blocks that seem catch your eye for some reason. You may have too many of the same print too close together. Or too much orange in one corner etc. Once you have your blocks in an arrangement that you like, snap a photo with your phone. Then pull the blocks off your wall by rows. Pin the rows together and label them so when you sew them together they stay in the right order. 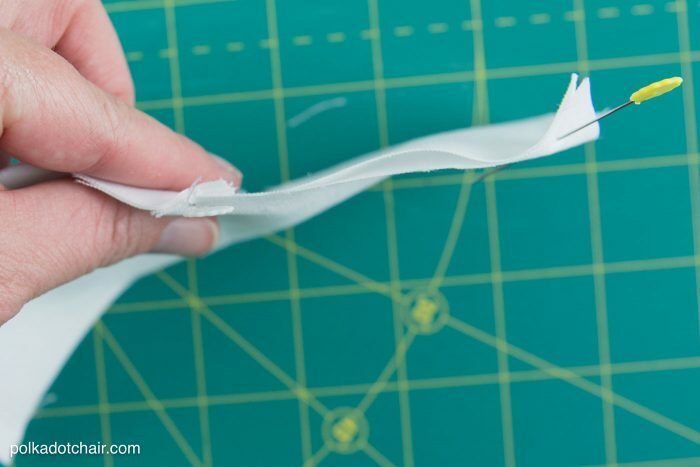 Here’s a tip for stitching your quilt blocks together. Press the seams of your quilt to one side, alternating directions. For example press the seams of the even rows to the right and the odd rows to the left. This will allow you to “nest” your seams together as you sew the rows to each other. 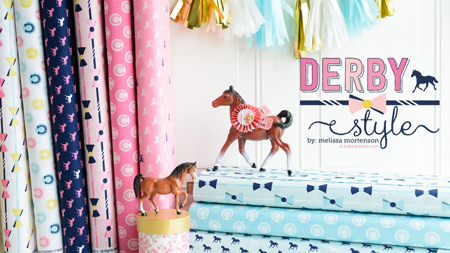 This nesting will help you to line all the corners of the blocks up together perfectly! Note:: there are entire books written on this subject. I’m just going to do a brief overview of the process. 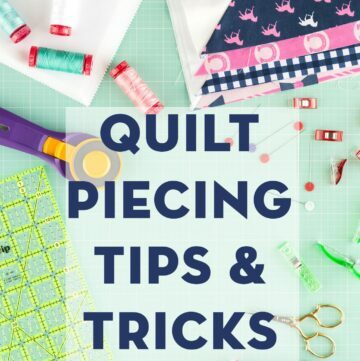 You can “dive in deeper” if you’d like, I’ll link up some books on quilting at the bottom of the post. There are MANY different ways to quilt the quilt top. I’ll briefly cover two of them here today. The first option is to send it out to a long arm quilter. This is my FAVORITE method since I don’t have to mess with it, and the long-armer does all the quilting. They are true artists and can really bring your quilts to life. If you’re going to do this, you’ll need to make sure you have a quilt back that is larger than your quilt top (as your long-armer what size they prefer). 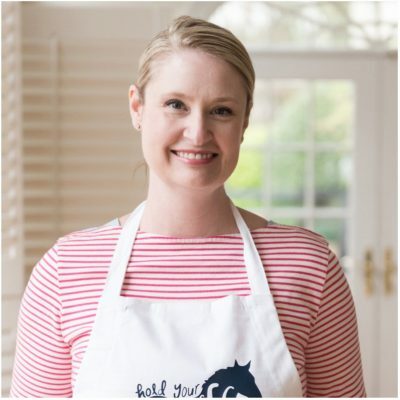 Most long-armers will have batting that you can buy from them, so you don’t usually need to buy batting as well. This is not my favorite part of the quilting process. For some people, it is their VERY favorite part. Everyone is different. 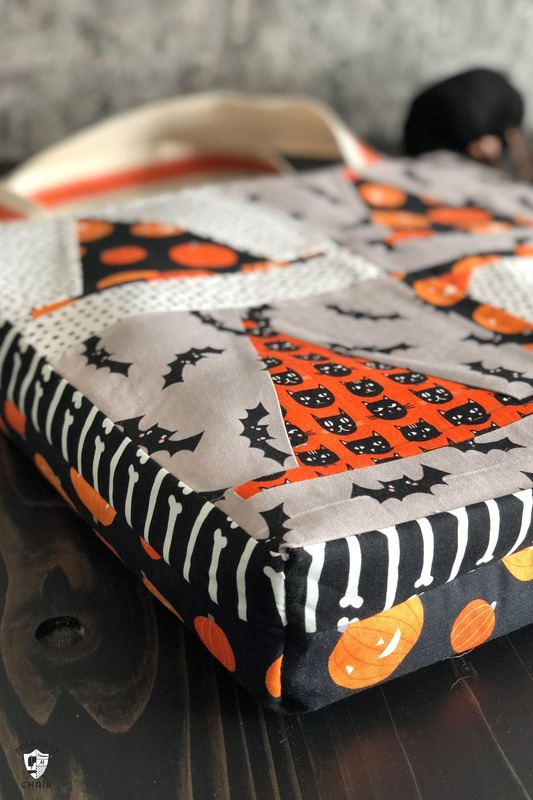 If you are quilting at home on a home machine, you can either free motion quilt your quilt top or, use a walking foot to quilt straight lines. 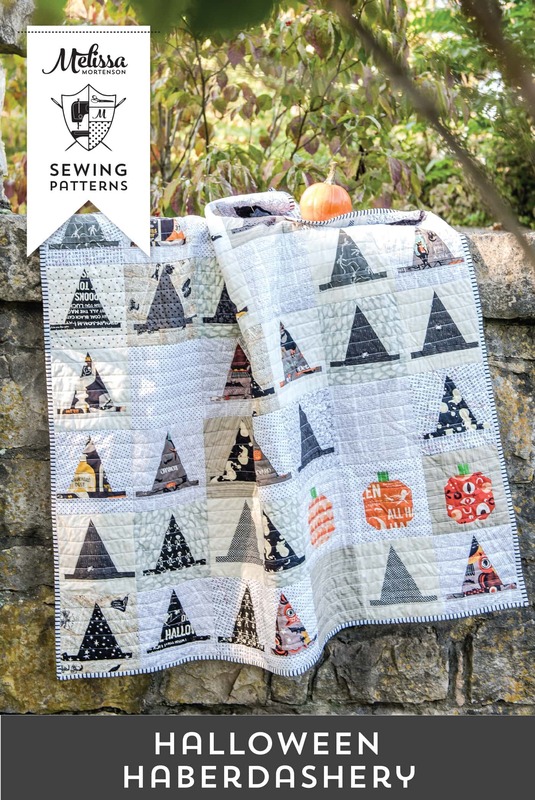 Personally, I’ve not had much luck free motion quilting a large quilt top. I prefer to straight line quilt it instead. The first step to machine quilting is to make a quilt sandwich. I’ve found the best way to do this is on the floor (I’ve also used my design wall before for smaller quilts). Begin by laying out your quilt backing on the floor, the wrong side up. Using painter’s tape, generously tape down the sides of the quilt back to the floor. Your quilt back should be about 10″ larger in both directions than your quilt top. Next, you need to baste, I prefer to spray baste. After you’ve taped down your quilt back, spray it with spray baste (this is the Spray Baste that I use). Make sure you open a door or a window when you do this, and use a piece of cardboard to catch overspray. Otherwise, you’ll have a stinky, sticky floor. Fold your quilt batting-I prefer to use 100% cotton batting (which is about 6″ larger than your quilt top) in half, then in half again. Lay the folded batting on the quilt back, then unfold the batting onto the quilt back, working one section at a time. Spray the batting with spray baste. Now lay your quilt top on top of the batting, right side up. Smooth the top with your hands until you’re sure you’ve worked out any bubbles or bumps. When you have it the way you want it, roll it up. It’s ready to quilt. 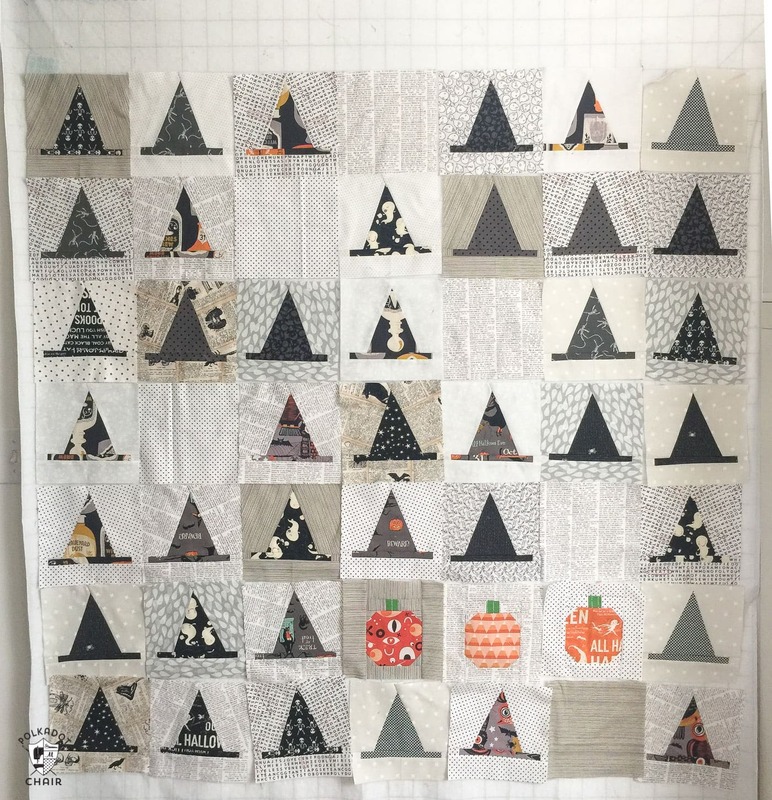 For my Halloween quilt, I quilted straight lines 1″ apart. I used a walking foot on my sewing machine. Which is a really simple way to quilt a quilt. I could go on for paragraphs about quilting a quilt top, but I won’t. There are entire books written on this subject alone. After you’ve quilted your quilt. Square it up and trim all the layers even. Now you’re ready to bind it. I don’t have a binding tutorial on the site right now (I’m working on one showing you how I machine bind my quilts). 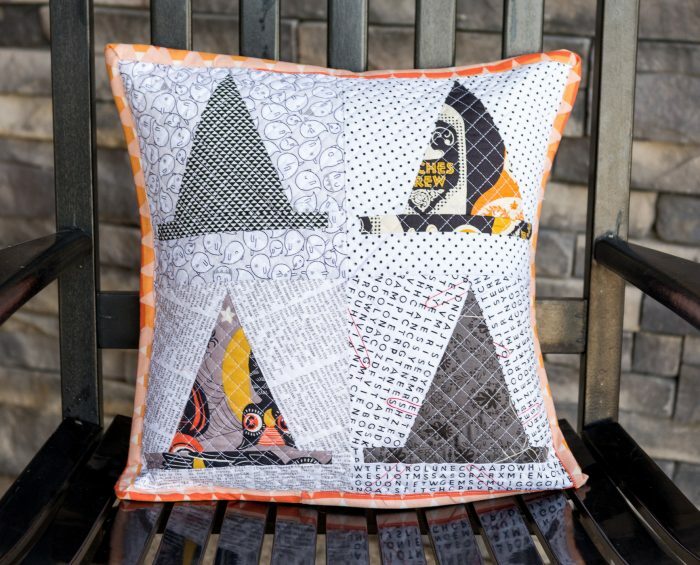 If you don’t know how to bind a quilt then I recommend THIS tutorial by Amy at Diary of a Quilter. Okay, that’s pretty much how to finish a quilt in a nutshell! Like I mentioned before, there are entire books written on this subject, so I’ve just scratched the surface. Hopefully, it’s enough to get you started!